Training for mutual welfare and benefit (自他共栄 jita kyōei). Jigoro Kano, the founder of judo, did much to revolutionize Japanese martial arts. 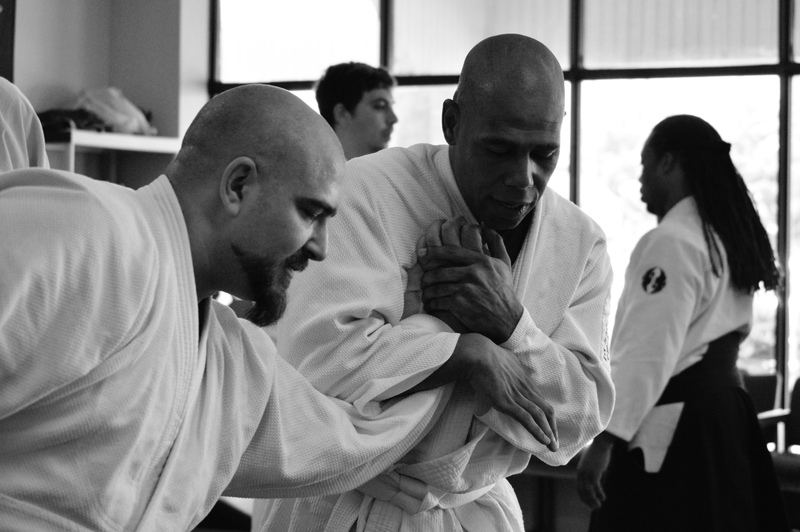 From older, more violent martial systems, Kano compiled the techniques that were both safe for everyday training and most effective in randori (sparring). His goal was to create a system of physical and moral development for everyday Japanese people, especially for the youth. The result was a martial art that lives on to this day as one of the most popular and widely practiced in the world. An educator and an idealist, Kano began with principles and valued and created the system of judo based on these. One of Kano’s principles was that judo should be practiced for mutual welfare and benefit. In the older systems (koryu), there was a strong sense of group development within the individual ryu, but other schools and systems were seen as enemies. Through judo, Kano wanted to transcend this clan-like mentality and give people a way to practice and a competitive outlet through which they could train and improve together, not just for the betterment of an individual or a particular group, but for everyone, including society as a whole. Training for mutual welfare and benefit means that practitioners train in a way that both keeps everyone safe and makes everyone stronger. This means not only training in such a way as to avoid injuries, but also in such a way that is cooperative and purposeful. There is no room for selfish egoism in this kind of environment because the practice is all that matters. Not only does this make practitioners better martial artists, but it also creates lifelong bonds and friendship among all involved.